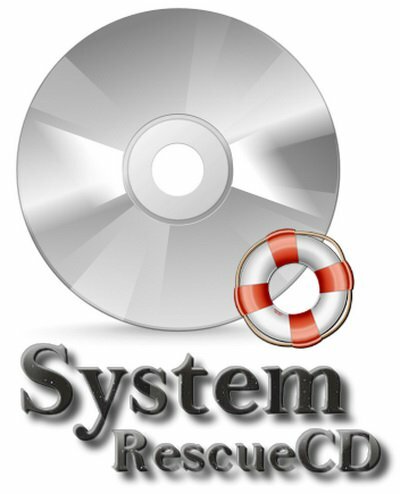 SystemRescueCd – recovery disk, which is based on Linux and is available as a bootable CD / DVD-ROM or USB-stick for the administration and recovery system and data after a crash. It contains tools for working with hard disk: a breakdown into sections, diagnosis, preservation and restoration parts. Knows how to mount the Windows Ntfs for reading and writing. It also contains tools for configuring the network, network services, search tools, rootkits and antivirus. It can be downloaded from the CD-ROM, USB-drive or a network via PXE. – Fully operable and independent operating system based on Linux, which can run from a bootable CD or DVD drive, even if the main computer’s operating system will not boot. – Supports the following file systems: EXT2, EXT3, EXT4, Reiserfs, Reiser4, BTRFS, XFS, JFS, VFAT, NTFS, ISO9660. – Support for network file systems: Samba and NFS. – Create, edit, copy, restore hard drive partitions. – The presence of a number of system utilities (Parted, Partimage, Fstools and other utilities). – Availability of Midnight Commander file manager allows files and directories on different actions (copy, delete, move, rename, etc.). – Ability to specify additional kernel options at boot time. – Caching allows the boot image to continue to work with the LiveCD after removing the carrier, thus making it possible to record discs in the same CD \ DVD drive, which is used to boot. – Create the user’s own boot disk option. – Work with the hard drive (Gparted, Partimage, sfdisk, FSArchiver, ntfs-3g, testdisk). – Work with the network (ssh-, dhcp-, tftp-, vnc-server, rsync, nfs-, samba-, ftp-clients).